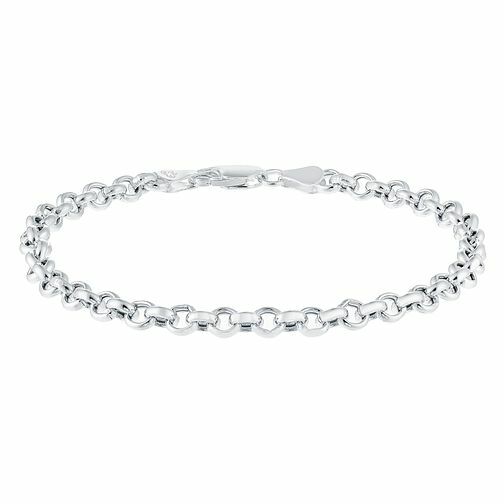 An undeniably elegant large belcher bracelet, styled in smooth sterling silver for an up-to-date feel, and finished with a lobster clasp fastener. Enjoy alone, or team with other bracelets for a layered look. Sterling Silver Large Belcher Bracelet is rated 5.0 out of 5 by 2. Rated 5 out of 5 by Anonymous from Better than I hoped This is the first time I have ordered jewellery online without having seen the quality and must say I am very pleased with my purchase. Delivery was efficient and the bracelet is strong and sturdy which is exactly what I was looking for in an everyday piece. Rated 5 out of 5 by Anonymous from This bracelet is very good Bracelet bought as a present and was loved by the recipient. Very good value for the money.